France is the third largest market for the distribution of Irish funds. As at the end of 2017, there were 2,336 Irish funds registered for sale. France held the third place in Europe with respect to financial management of funds, with a market share of 15.8%, behind United Kingdom (21.4%) and Germany (18.1%). Including the discretionary management, France is the second European place with 20% of market share. The French fund industry is one of the biggest in Europe, and has grown by 5% in terms of assets under management in 2015 to reach almost EUR 1.700 billion. Net assets for UCITS funds are now of € 963 billion and of € 920 billion for AIFs. (As at end of 2015). View the full country distribution guide for France (Irish Funds member login required). Distribution networks of banks through their investment services providers. French conseiller en investissements financiers (financial investment advisor), which is a French specific regime. The Financial Investment Advisor can provide investment advice. It must (i) be insured, (ii) join a professional association and (iii) be registered on the French financial intermediaries register (ORIAS). It has to follow good conduct rules and is under the surveillance of the Autorité des Marchés Financiers (French Financial Markets Authority, the “AMF”). Insurance companies (through life-insurance contracts). As a general comment, distribution of funds in France shall be made by a duly authorised intermediary. 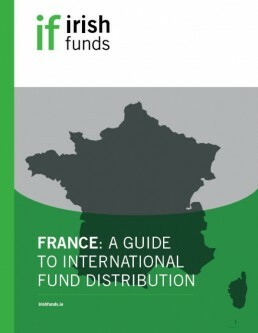 The distribution country guide for France is available for members of Irish Funds. This guide gives a detailed view of the French market and the ins and outs of distributing funds there.